You can’t go anywhere these days without hearing about CBD oil. The official name is cannabidiol, but let’s face it: CBD oil is a lot easier to say. It’s sold in the form of drops, gummies, capsules, and more. There are even CBD restaurants and bars in places like New York City. If you haven’t tried it by now, then you doubtless know someone who does and swears by it. It’s marketed as a way to relieve pain, anxiety, and even epilepsy. But let’s take a closer look at the benefits of one type of CBD oil in particular. Here are three benefits of using topical CBD oil. Look, we all get a strained neck or sore back every so often. To some extent, it can’t be helped, especially if you’re one of the many people who spends a lot of time looking at a screen for either work or play. There are some work days so intense that you can barely take time to go use the bathroom, much less walk around the office on a designated screen break. That’s where products like Receptra Targeted Topical enter the picture. You can apply it to whatever part of your body needs it. If you’ve been typing a lot and are worried about carpal tunnel syndrome, then you might want to slather it on your hands and wrists. If your neck is sore from staring at monthly reports all day, then apply it to your neck and shoulders (or get your partner to do it for you). It’s a great alternative to popping over-the-counter painkillers whenever your muscles feel achy or strained. Aging is inevitable, but a lot of people feel like they should never look like they’re over the age of 30. That’s not realistic, but there are a lot of good anti-aging products out there. Those products include topical CBD oil. For one thing, stuff like topical cream made with CBD is way less invasive than going to a doctor’s office and asking him to inject needles into your face. That works for some people, but most of us would prefer to start with something a little less drastic. Try a cream and see if it makes you look younger. As a bonus, topical CBD oil may also reduce your chance of getting acne. You want to look young, sure, but you don’t want to look like a teenager in the middle of a hormonal-induced face breakout. Topical CBD oil doesn’t just offer possible benefits for your face and muscles. It may also help your brain by helping you relax. And no, that’s not the same thing as getting you high. CBD oil can’t get you high, because it doesn’t contain THC like pot does. If you’re not using a substance with THC, then you’re not going to get high. That doesn’t mean you won’t relax and sleep better, though. Americans are an anxious group for a variety of reasons. In fact, anxiety is now the most common mental health issue in the entire country. There are a ton of products specifically devoted to helping relieve that anxiety. Things like fidget spinners work for some people, and that’s great. But fidget spinners probably aren’t going to help you sleep better. There are some people who are uncomfortable with taking sleeping pills, which is understandable. If you’re one of them, then applying some topical CBD oil may help you rest better and wake up feeling refreshed. Is CBD oil conventional? Right now, not really, but it’s getting closer to that point every day. 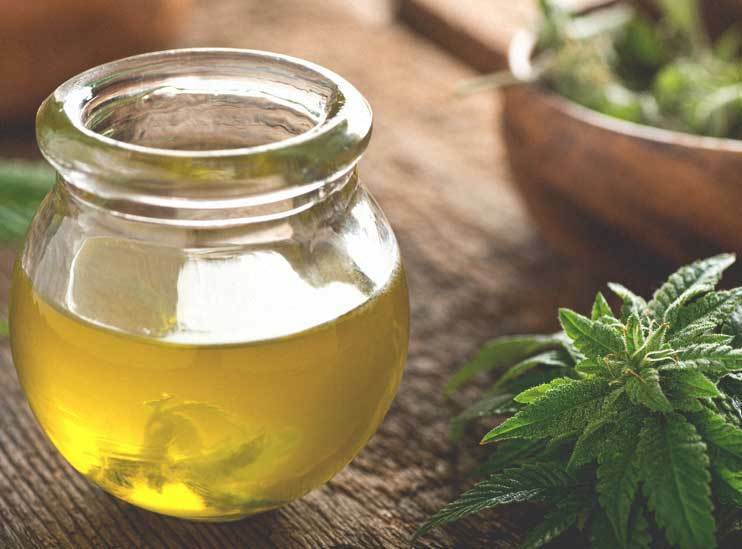 Like a health information exchange organization, CBD oil is just one more tool that can improve your quality of life without costing you a lot of extra time or money.